Spring is almost here and so is the home-buying and selling frenzy. Whether you’re purchasing or selling your home this spring, take the time to find an agent and conduct a home inspection. Here is a list of ways to compete in this spring competitive market and strategically get ahead start. If you are new in town, you might want to visit to spend the weekend weeks before the official home buying frenzy to get familiar with the area. You also should interview real estate agents and visit several real estate offices. Take advantage of online resources to conduct research and talk to locals and drive through the neighborhoods you like the best at various times of the day. Hire a neighborhood specialist. Although all real-estate is local. The advantages of hiring a real estate agent who specializes in the area where you want to buy can provide a wealth of information about the area. 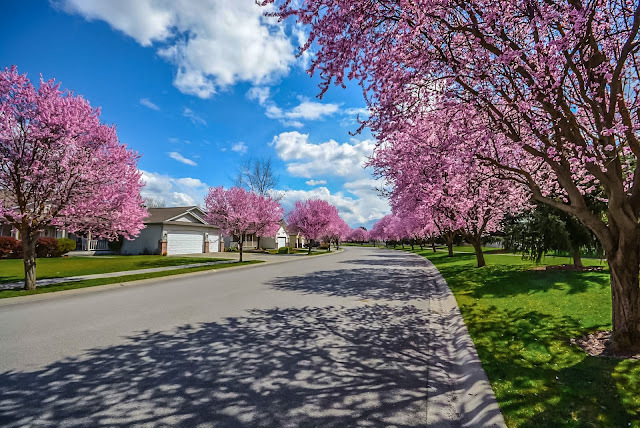 Trust your instinct, keep in mind that it’s normal to feel a little bit of apprehensive when it comes to buying a home regardless of whether it’s spring or not. Be Ready To Pay List Price: Instead of focusing on how much the seller’s asking price, focus on how much the home is actually worth. Be sure to consult with your Agent and ask for a CMA of comparable sales to determine actual value. Despite what you may think, you can’t compare values by other homes on the market because sellers can ask whatever they want. Set A Realistic Budget: Before you meet with your lender to determine how much of a mortgage you’ll be approved for, take a look at your finances and determine your monthly payment range that you feel you can comfortably afford. Highly recommended to use a mortgage calculator to help you out with this process. If you are selling your home this spring, start early and be strategic. Most sellers regret not spending more time prepping for the sale. Get a home inspection and work with an agent at the start of your selling journey. Whether you’re the buyer or seller in the real- estate transaction you should always get a home inspection. Keep in mind that your buyers are going to conduct an inspection.You should be aware of what they are going find and address issues that may derail a sale ahead of time. Here’s why you should have an inspection performed ahead of time. and visitors tour your home. that defects won’t become negotiating stumbling blocks later. reasonable prices contractors or make the repairs yourself if qualified. supporting documentation to your disclosure statement. made available to potential buyers.